Welcome to Real-life Sci-fi worlds. I use science to explore life-bearing worlds that are the settings for science fiction stories. This post is a pared-down summary of an article I wrote for Aeon in April 2015 — see the original article here. The Sun is pretty key for us here on Earth. The number one goal of exoplanet-hunters is to find planets like Earth orbiting stars like the Sun. And we’re getting closer: planets have been discovered with orbits at similar temperatures to Earth but around much fainter stars than the Sun. There is an interesting alternative: worlds with no Sun. 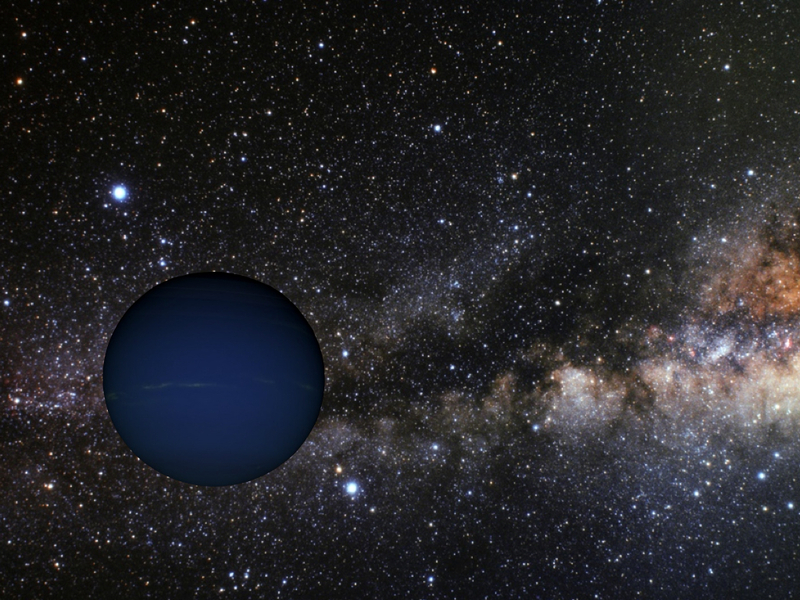 Free-floating planets that roams among the stars. Gravitationally bound to the Galaxy but not to any star. Rogue planets. A handful of free-floating gas giant planets have been discovered. A recent study found that Saturn- to Jupiter-mass free-floating planets are extremely abundant, and may be more common than stars in the Galaxy! While that study is somewhat controversial, it is clear that free-floaters are very common. There are good reasons to think that rogue Earths are probably even more abundant than rogue giant planets. So the question becomes: what would a free-floating Earth look like? And could it host life? What you might imagine that a free floating planet would look like. Spoiler: it doesn’t look like this! The answer is: yes, rogue Earths could conceivably host life. The key difficulty is that the planet must maintain a warm enough temperature for water to be liquid somewhere on the planet. The only available heat source comes from the planet’s internal heat from the decay of radioactive elements such as uranium. What the planet needs is to hold on to its heat as efficiently as possible. There are two solutions. First, the planet could have a thick layer of ice covering an ocean. If the ice is at least about 10 km thick, then the planet can maintain a global subsurface ocean of liquid water. This is just like Jupiter’s moons Europa and Ganymede, as well as several other minor planets in the Solar System. I call these icy rogue planets. An icy rogue planet. Here, Jupiter’s moon Europa is standing in for the icy rogue. Another spoiler: it wouldn’t look like this! Second, the planet could have a thick hydrogen atmosphere. Hydrogen is a very efficient thermal blanket. Plus, it does not condense but rather remains in gaseous form even at ridiculously low temperatures. A free-floating Earth with a thick hydrogen atmosphere can keep its surface temperature above the freezing temperature of water. The planet could have lakes and oceans (and possibly life) on its surface. The atmosphere must be thick: at least ten times thicker than Earth’s and probably more like a hundred times thicker. I call these rogue blanketed planets. How you might imagine a rogue blanketed planet would look. Here, Neptune is standing in for the rogue blanketed planet. Spoiler: once again, you would be wrong. So: what would a free-floating Earth actually look like? The answer is simple: a shadow. Both types of planets — icy rogue planets and rogue blanketed planets — are exceedingly cold in their outer regions. They emit virtually no visible light. They would simply look like a black circle blocking the distant stars. 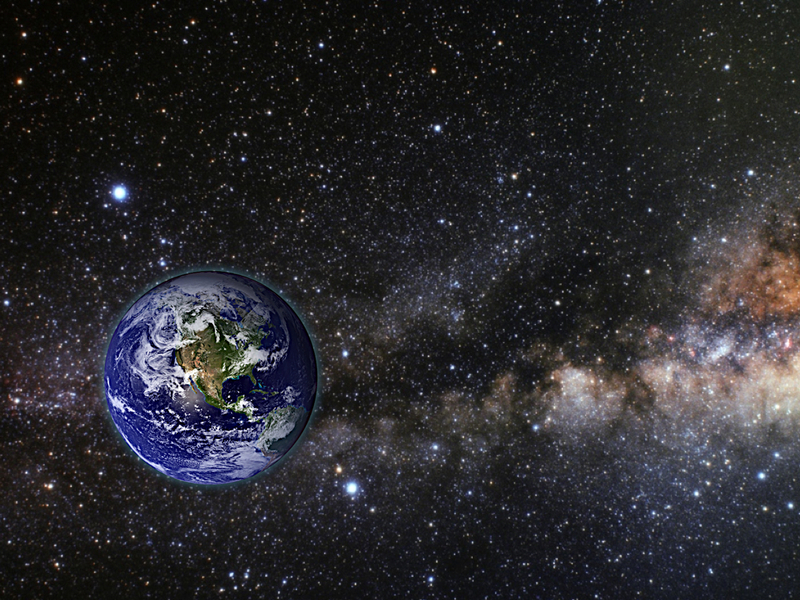 What a free-floating Earth would actually look like. The upper atmosphere (or ice layer for that matter) is so cold that it does not emit any visible light. Let’s get to the money question: what kind of life could exist on these planets? Almost all life on Earth’s surface relies on the Sun. Specifically, on photosynthetic organisms that use the Sun to generate organic matter (aka food). But there are organisms on the bottom of the ocean — at hydrothermal vents — that produce organic matter by taking advantage of chemical gradients (differences in chemical potential) that are themselves generated by Earth’s internal heat. These creatures are called chemoautotrophs. On rogue Earths, chemoautotrophs could produce the food for more complex organisms. However, chemoautotrophs are not particularly efficient: they only harvest available energy about one one-thousandth as efficiently as photosynthetic organisms. So you would need a lot of them to produce food for a whole planet. 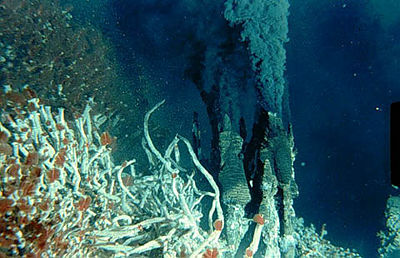 Still, hydrothermal vents host entire food chains including weird creatures like giant worms, snails, and strange eels. The biological community surrounding a hydrothermal vent along the Juan de Fuca Ridge. Credit: University of Victoria. Free-floating Earths are in principle capable of hosting life, although it may be a while before we can test this idea. 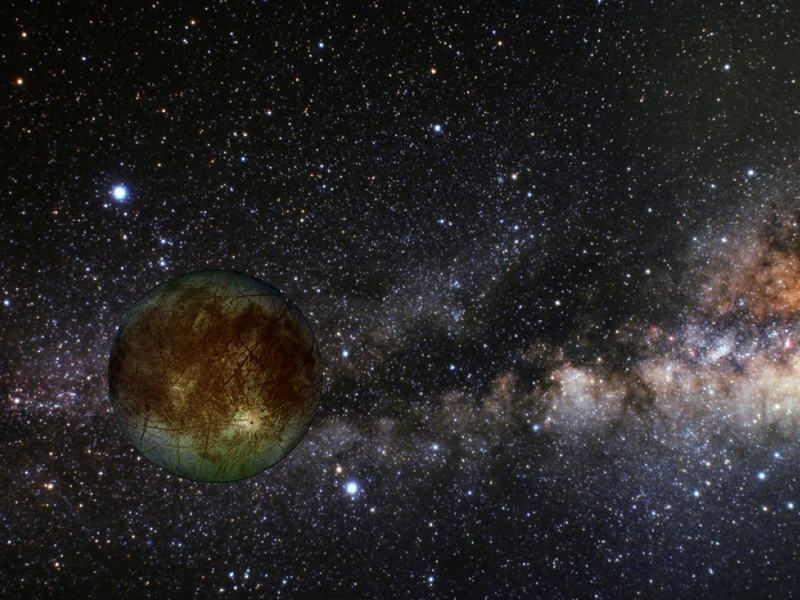 But who knows how close a rogue Earth is lurking to the Solar System. These planets are so faint that they could well be among our closest Galactic neighbors. Again, here is the link to the original Aeon article that is a bit more poetic and covers more ground. June 4, 2015 in Conditions for habitable planets, Real-life Sci-fi Worlds, Sean's research. ← Is the Solar System special? Of course – as usual – the whole question of whether the abiogenic origin of life is even possible, anywhere at any time in all the history of the universe, is being completely begged. And that is the one question which must not be. The visible universe is incredibly vast compared to our local perspective; it fades to utter insignificance compared to the chances against life arising and then developing through time, chance and natural law. Colonizing rogue Earths – or if one had the power, gathering them up and putting them around stars so they would thaw out – now that would be worth my considering. Raw materials for some of those fancy star/planet systems you and others come up with… well, there you go. All those rogue planets – up to 100,000 Moon-sized objects per star – represent a lot of potential real estate. Yet the Sun radiates enough to warm 2.2 billion Earths. If we could figure out a way of beaming a fraction of the Sun’s energy to each of the rogues near us… the possibilities boggle the mind. It does also suggest that ETIs might find better things to do than travel to other stars looking for fresh planets. Adam — good point. There is a whole lot of energy coming from the stars that is wasted on empty space! It would be great to have a simple way to harvest it better. This is of course the origin of ideas like the Dyson sphere, but it would be interesting to imagine trying to up the solar energy on a too-cold planet by beaming some extra their way. Rogue planets are cold enough to have a lot of hydrogen (in the form of water, methane, ammonia, or molecular hydrogen). Given fusion power (which humans would probably develop by the time we could reach a rogue planet), colonists could power a civilization and biosphere on a rogue planet for millions or billions of years. See the SF novel ‘Lockstep’ by Karl Schroeder. That is one of the ideas used in the novel.